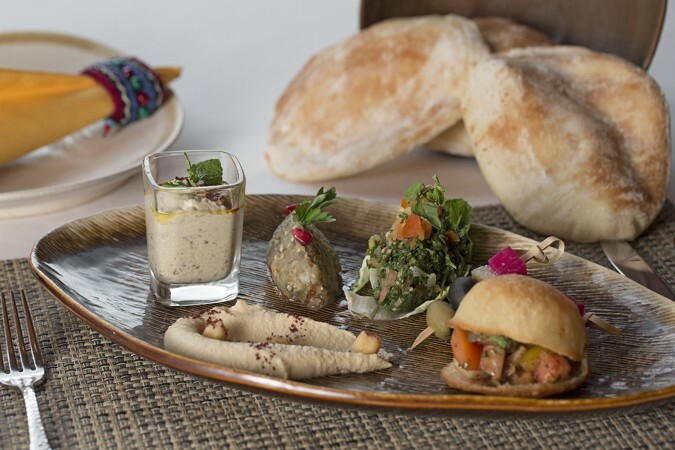 A melting pot of culture and design, Al Nafoura is a Lebanese restaurant exuding a relaxed and comfortable atmosphere. 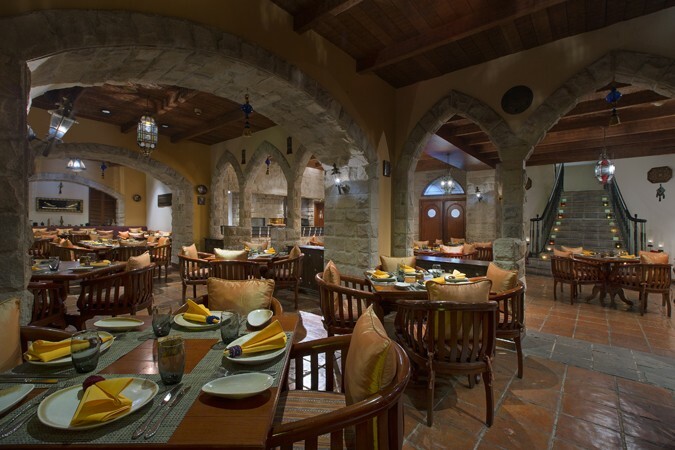 The unique design of Al Nafoura emphasises a Mediterranean and Middle Eastern ambience with its textured sandstone walls and terracotta flooring set to vividly contrast the richly coloured hand-crafted artefacts. The restaurant has an open kitchen with a vertical rotating spit roasting and slow-cooking shawarma to perfection, alongside large, a wood-fuelled oven in which a wide variety of breads are baked. With one private dining room and an outdoor terrace to enjoy shisha and traditional desserts, Al Nafoura is perfect for both social gatherings as well as casual hang-outs. 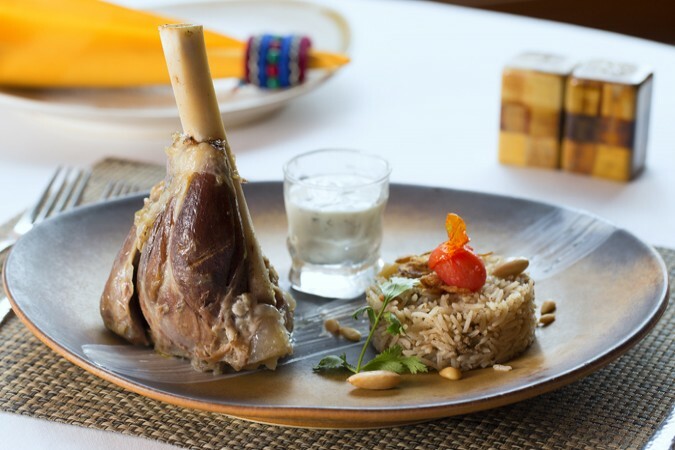 The must-tries at Al Nafoura include Lamb Ouzi, braised lamb shank Ouzi-style served with oriental rice, assorted nuts and yoghurt sauce, Couscous Ma Dalahharuf, lamb chop grilled with Lebanese pistachio sauce served with couscous and steamed vegetables, and the famous Lebanese dessert Baklawa, which is small pastries baked to the point where the buttery crust melts in your mouth, mixed with cashews and pistachios, served with honey, strawberry sauce and fresh mint.